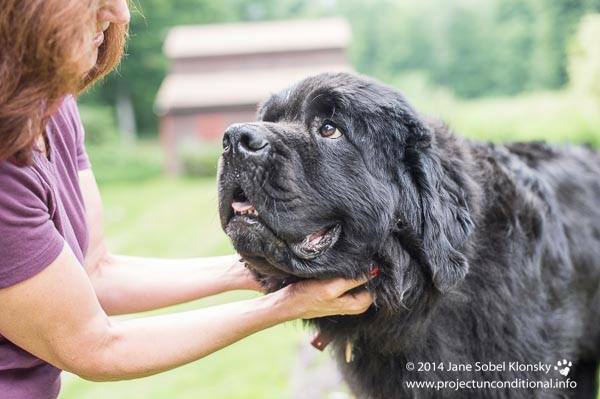 Unconditional is a book by Vermont-based photographer Jane Sobel Klonsky that showcases the special bond between humans and older dogs. Traveling across the United States, she’s snapped tender portraits of senior rescues, working dogs, and family pets. 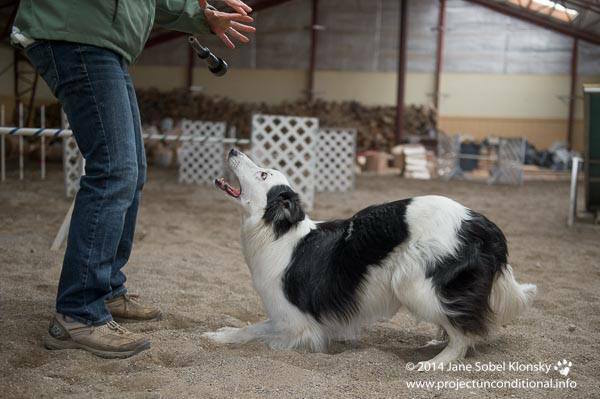 The photos are paired with anecdotes about the dogs by their human companions. Here’s a sneak peak of what you can expect. Image via Project Unconditional Facebook. The idea for Unconditional came to Jane when she was sitting in the office of her insurance broker and noticed how “raw and strong her connection was with her old Bulldog, Clementine.” At that point, Jane went ahead and began plotting how she’d “capture the bonds that people have with their dogs in the twilight of their lives.” Here, the photographer is pictured with one of her own dogs, Charlie. 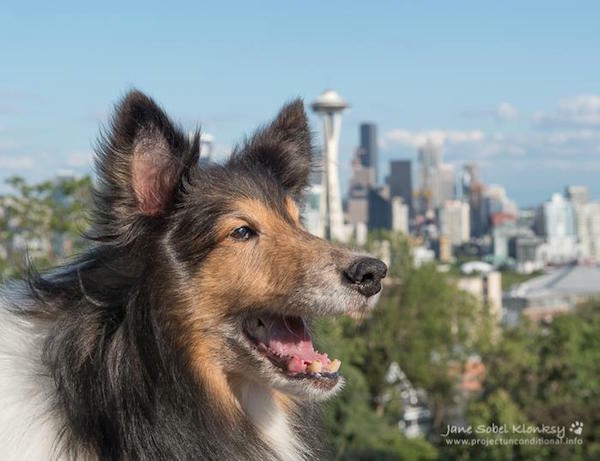 Duke found his forever home in Seattle, where he also benefits from the help of the Old Dog Haven organization, which has the goal of improving the quality of life of senior canines. 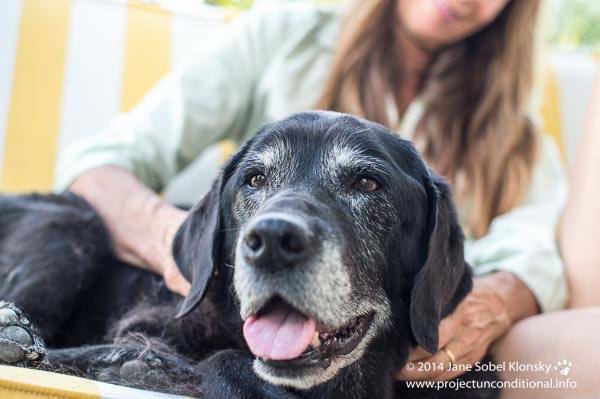 Oakley’s owner, Nina, remembers him as “the sweetest dog you will ever come across.” She adds that through his 15 ½ years on this planet, he was always dashing about hiking and swimming, and loved to play fetch with sticks, tennis balls, and frisbees. Gracie’s humans, Sadie and Matt, adopted her when she was 4 years old. She’s another dog who’s all about embarking on hiking trips — although she’s also fine to let Matt scoop her up when they encounter particularly rugged terrain. 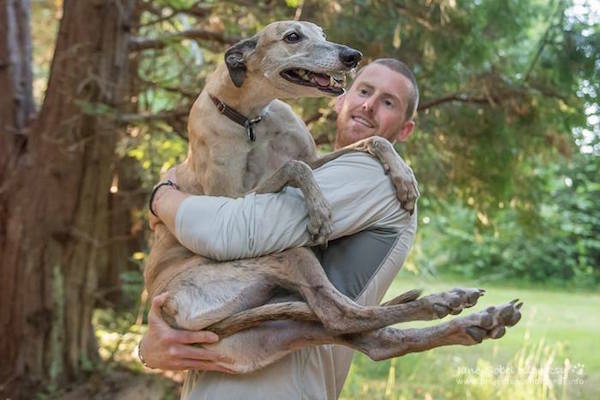 As Gracie has notched up eight years on Earth, she’s had to tone down some of her jaunts, with her owners now taking a “selective” approach to their outdoors trips together. 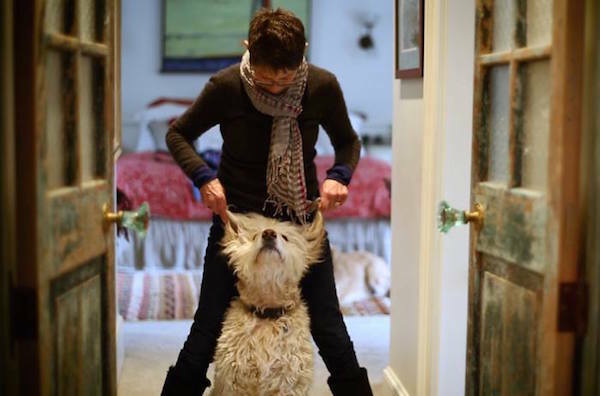 Unconditional: Older Dogs, Deeper Love is out now via National Geographic Books. Follow Jane Sobel Klonsky on Facebook. The post We Love These Portraits of Senior Dogs and Their People appeared first on Dogster.